Born on 25 March 1943 in Nice (Alpes Maritimes) FRANCE. Lives in Paris. • DEA d’Economie (Univ. Paris 1) (June, 1971). Associate researcher at the Institute of the Americas since January 2012 and member of its scientific committee since January 2016. Fellow at Max Plank Institute, Cologne, 1st February – 30th May 2015. Fellow at Wissenschaftskolleg zu Berlin, 1st October 2010 – 31st July 2011. Visiting Professor, International Center for Business and Politics, Copenhagen, September 2009 – 31st January 2010. Visiting Professor, Universidad Nacional Autónoma de México (departamento de Posgrado) February – June 2009. Visiting Professor, Yokohama National University, Faculty of Economy, 1st July – 31 October 2008. Economist at CEPREMAP (Centre Pour la Recherche EconoMIque et ses APplications) from March 1974 to December 2011. 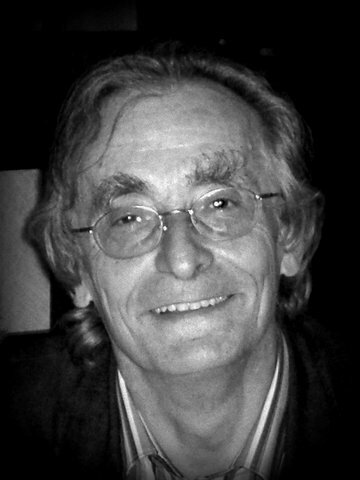 Former professor (Directeur d’Etudes) at EHESS (Ecole des Hautes Etudes en Sciences Sociales) from September 1982 to September 2008. Former Senior Researcher (Directeur de Recherche Classe Exceptionnelle) at CNRS (Centre National de la Recherche Scientifique) since September 1978 until September 2008. Expert within the Planning Agency (Commissariat General du Plan) on behalf of the Center for the Promotion of Income Policies (Centre d’Etude des Revenus et des Coûts) (April 1969-September 1971). Economist at the Ministry of Public Works (Ministère de l’Equipement et des Transports) (September 1967-March 1969). Silver Medal of CNRS 1999. Doctor Honoris Causa, University of Buenos Aires, September 2000; Catholic University of Louvain-la-Neuve, March 2001. Fellow of the Society for the Advancement of Socio-Economics (SASE). Member of the scientific committee of the Cournot Center for Economic Research. Member of the Advisory Board of the Max Plank Institute for the Study of Societies (2001-2008). Visiting Professor at The International Center for Business and Politics, Copenhagen Business School since 2008. External researcher at Catholic University of Louvain la Neuve (2008-2009). Prize « Luis Federico Leloir » (International Cooperation in Science, Technology and Innovation), Ministry of Science, Technology and Productive Innovation, Buenos Aires, November 2010. Asian and Latin American capitalisms. European and other regional integrations. Labor markets and wage labor nexus. Variety of capitalisms and international comparisons.